Indiana guard Devonte Green will not play in Tuesday’s game against Northwestern at Welsh Ryan Arena. Green, a 6-foot-3 junior from North Babylon (NY), did not travel with the team to Evanston and is suspended. 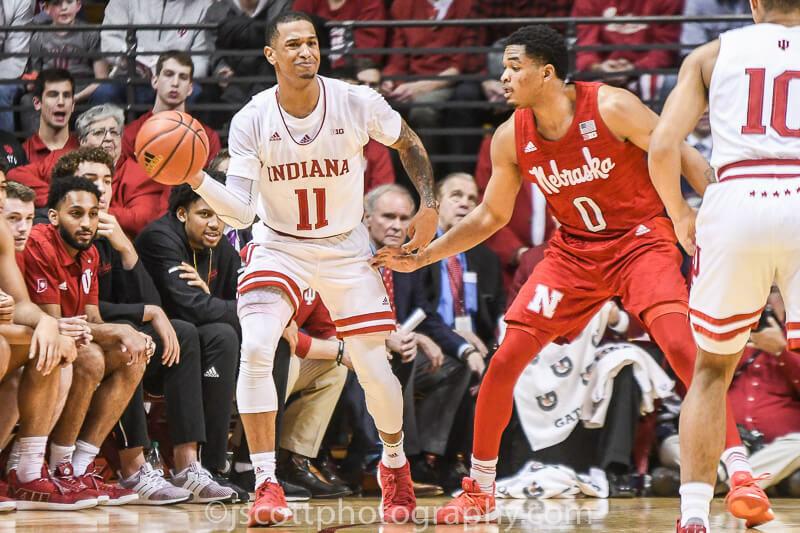 The Hoosiers, who have lost four straight games, have been short on depth all season. Green is averaging 7.9 points, 3.3 rebounds and 3.2 assists in 24.6 minutes per game. Entering the season, Green was expected to be Indiana’s starting point guard, but a leg injury limited him in November. Green missed early season games against Marquette, Arkansas, UT Arlington and UC Davis. At the same time, freshman Rob Phinisee solidified himself as the team’s starting point guard. Green had been coming off the bench all season before entering the starting lineup against Jacksonville after Phinisee suffered a concussion. He moved back to the bench in Saturday’s loss at Purdue and scored just two points in 14 minutes.